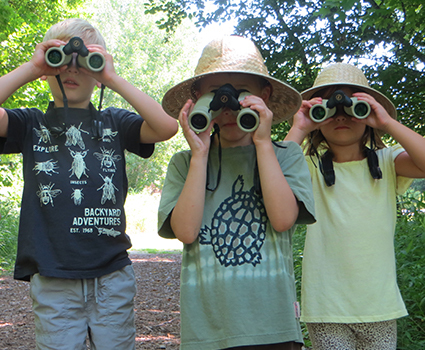 Discover the wonderful and wild great outdoors with your little ones! Camp Y-Koda’s fun naturalists will lead this interactive, parent-child program. Types of activities will vary by season and include hikes, hands-on explorations, crafts and games. Children must be accompanied by a responsible parent or adult. The program meets from 9:30am - 10:30am on the dates listed below. Pre-registration is required by Tuesday at 12 noon before each date. Our next upcoming dates for the Knee High Naturalists Program coming soon! To register for our 2019 Parent Child Nature Programs, please find our registration form below. Once completed, the registration form can be returned to the Sheboygan YMCA, the Sheboygan Falls YMCA or Camp Y-Koda.